Under strain from protracted conflict, displacement, and a budgetary crisis, Iraq’s health system is struggling to care for the physically disabled. 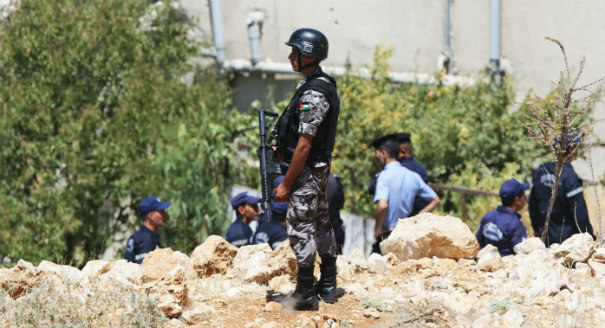 In Ain al-Hilweh, Islamist militants are working alongside the PLO and pro-Syrian factions to prevent allies of the Islamic State and Jabhat al-Nusra from dragging the camp into war. More coordination between international donors, the public sector, and civil society actors could fill gaps in education for Syrian refugees in Lebanon. The international community has heavily invested in the armed forces of Syria’s neighbors, but hard security cannot be achieved without more robust humanitarian aid. Lebanon has so far avoided an economic and security collapse since the start of the Syrian crisis, but major challenges remain. Fears of a potential shift in Lebanon’s confessional balance are driving power brokers to enact harsher restrictions on incoming Syrian refugees. Drawn into the Syrian conflict, Palestinian refugees in Yarmouk are turning to social media to generate support and to hold their divided leadership and the international community accountable.